← Find of the day! Things are going rather well here with gorgeous sunny days that are hot and tiring to work in but certainly cheer everyone up after the dull and oppressive days we’ve had recently. It is nice not to have to prise three inches of mud off of your boots before you can get in your car and go back to the campsite! It must be said that the change in weather does not seem to affect volunteer numbers – people are turning up come rain or shine which is really wonderful. We’re thrilled to have so much community support. 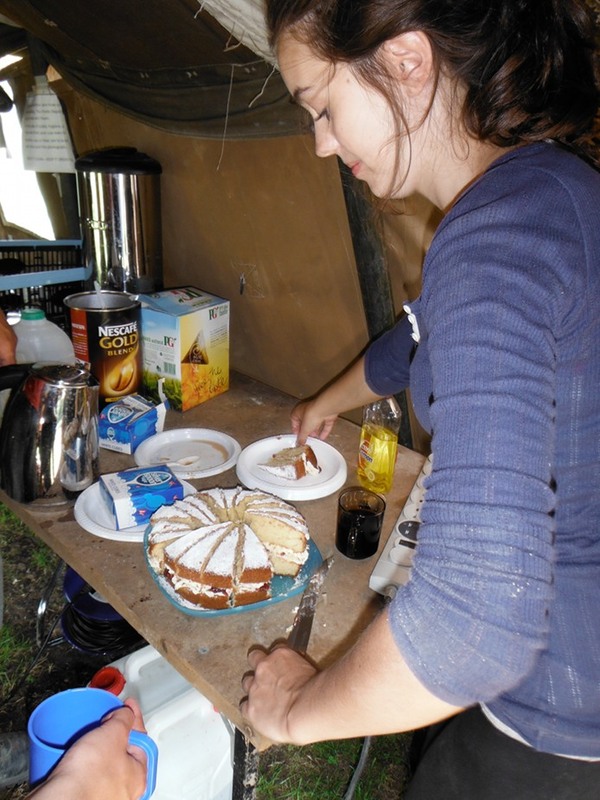 So far over 80 people have signed up and volunteered some of their time on the project, whether digging, finds washing, environmental processing or even making tea and generously providing cake for hungry diggers! 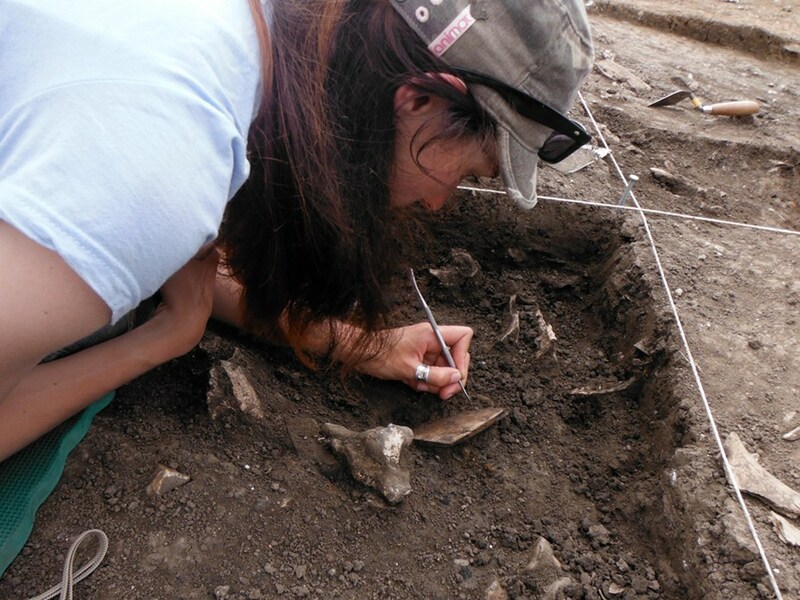 I promised I would give the full lowdown on the discovery of the bone comb – but I am now able to bring you several more exciting finds to go with it! 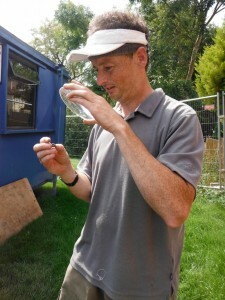 I’ll start with the comb, which came up on the 9th August in the sunken-featured building (SFB). 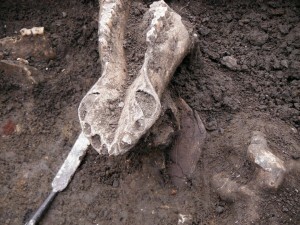 which would be detrimental to its preservation, before we can get it to a specialist conservator. There are very few examples of these triangular combs from Kent – most of the known examples come from Suffolk. I got stuck in to excavating the bone comb too! earlier. 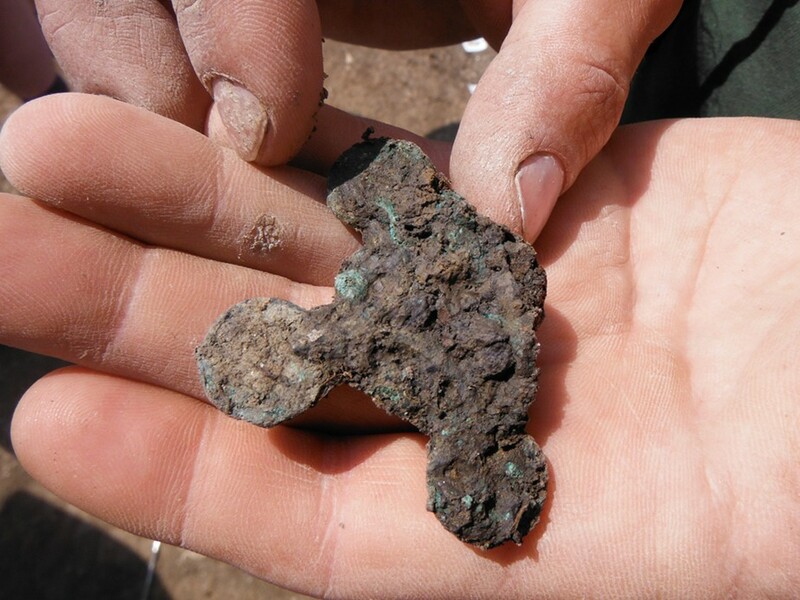 In this instance we were right – David found a 6th century AD button brooch. 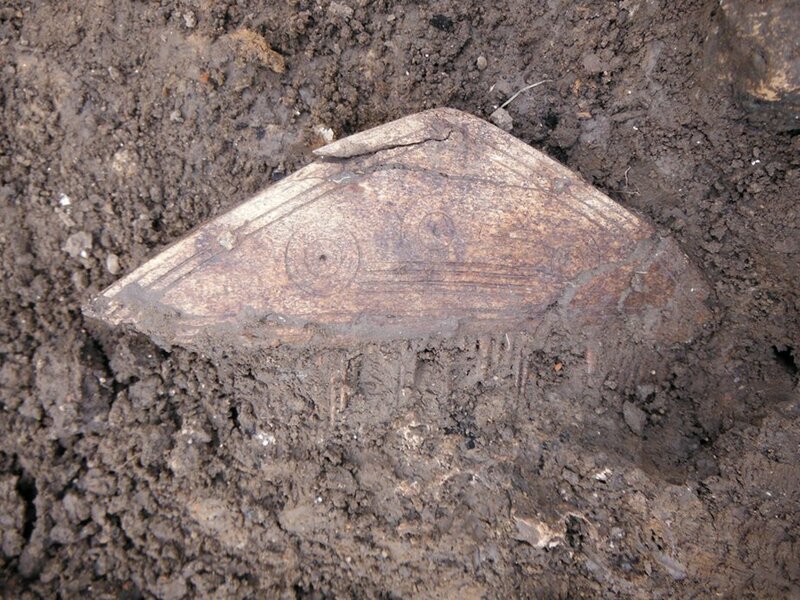 It is very small but it has a a tiny amount of gilding on it and when conserved and cleaned up will have an abstract design, perhaps a stylised human face on it. 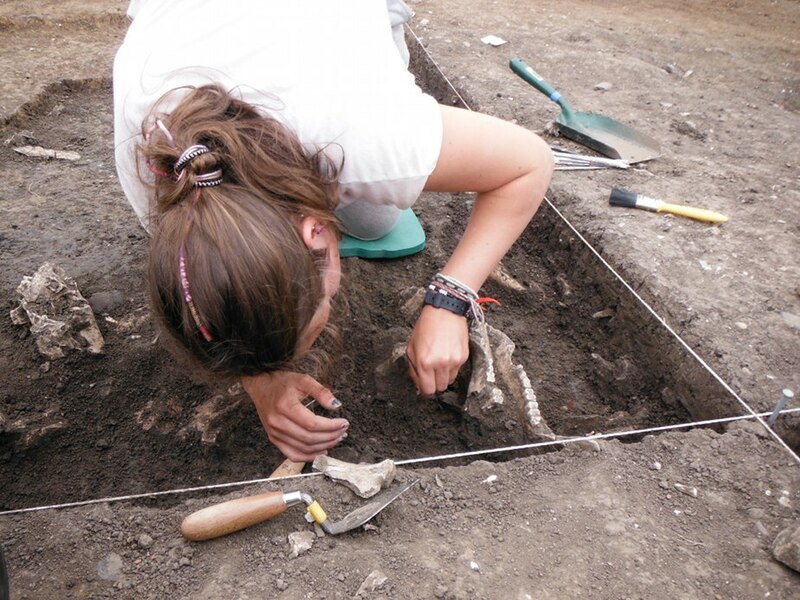 It was found in the medieval ditch which means that the medieval residents of Lyminge dug it up from somewhere else and probably accidentally redeposited it in the ditch at a much later date, so we can’t use it to date a feature but it contributes to our evidence for Saxon dress accessories. 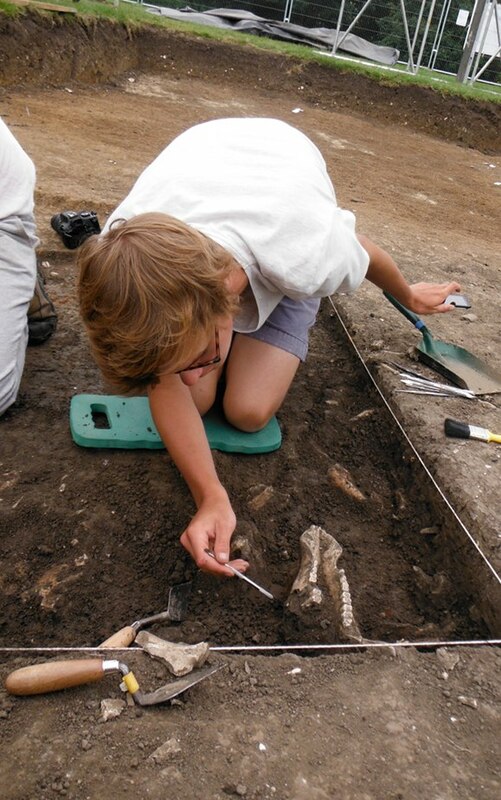 Gabor inspects the possible horse harness fitting or mount found in a wall trench from the hall building. You can see some decoration if you look carefully and it may have been gilded. decorated surface. 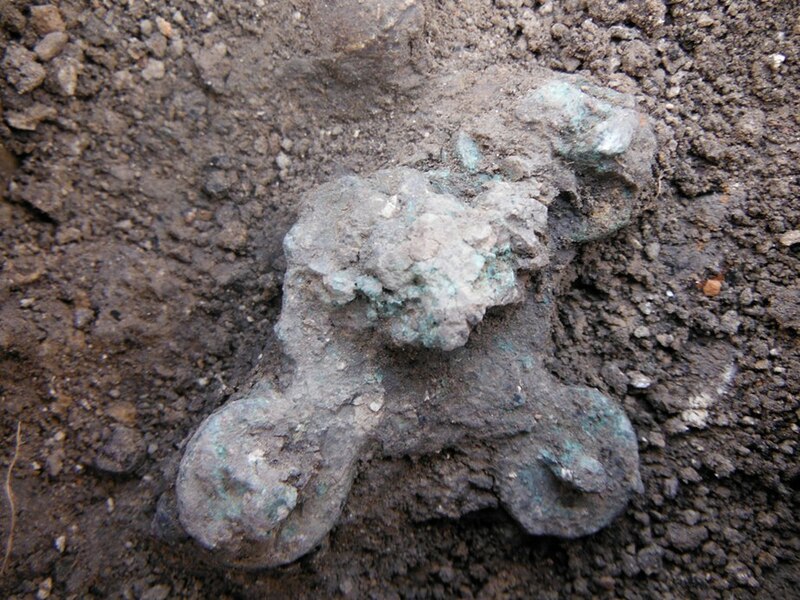 This sort of evidence is very rare from settlements, and adds to the idea of the hall building as a structure of status and wealth, reflected in the ownership of horses – the ‘warrior society’ ideal. 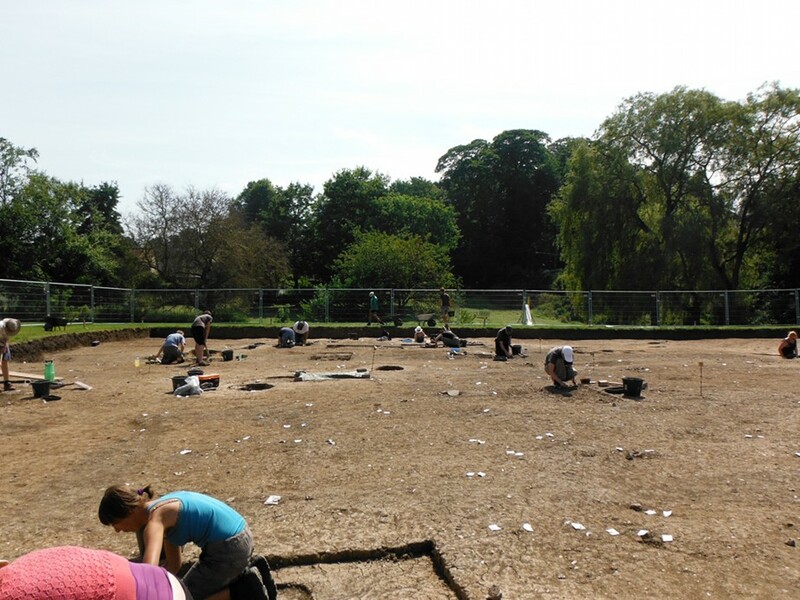 The finds are starting to build up a picture of the type of 5th-7th century Saxon society living in Lyminge: wealthy, high-status artefacts to go with the 21m long hall, as well as the other phases on site – the mesolthic flints and the Saxon-Norman occupational evidence too. 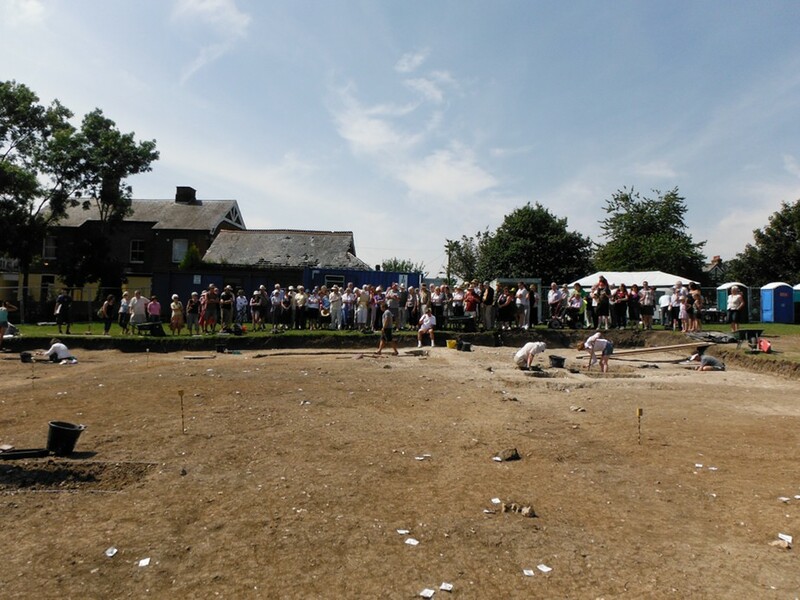 Our local residents and visitors are really interested too – today we got around 90 people on the Saturday site tour – we’re so pleased with the interest and turn out each week! Just look at that crowd! We're so pleased to have so many people coming to our Saturday site tours. And finally, I bring you a bit of comedy. 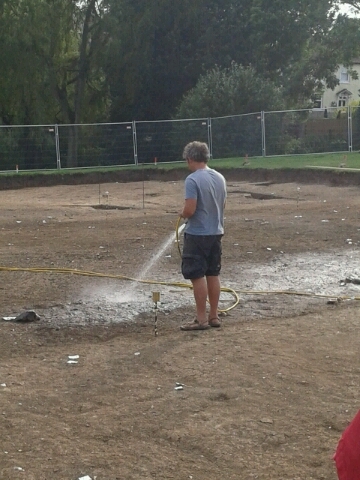 Our esteemed director has been watering down the site as it’s been so dry. Anyone for a caption competition?! 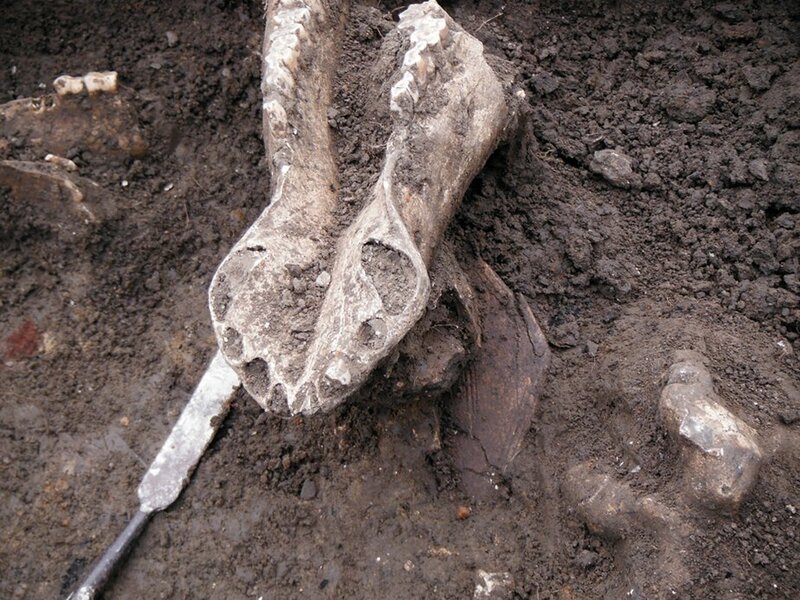 The bone comb and horse harness are stunning and I look forward to seeing the button brooch when it’s cleaned up. Caption for Gabor: The sweet peas are taking their time….